Since obtaining insurance can be somewhat complex and difficult to ensure you are getting the right type of insurance coverage, while not paying too much – I thought I would ask my insurance agent if they might have some ways to help us save more on our policies. Huge thanks Trina of McAlpin Agency in Minneapolis (who I’ve been with since I first started driving!). 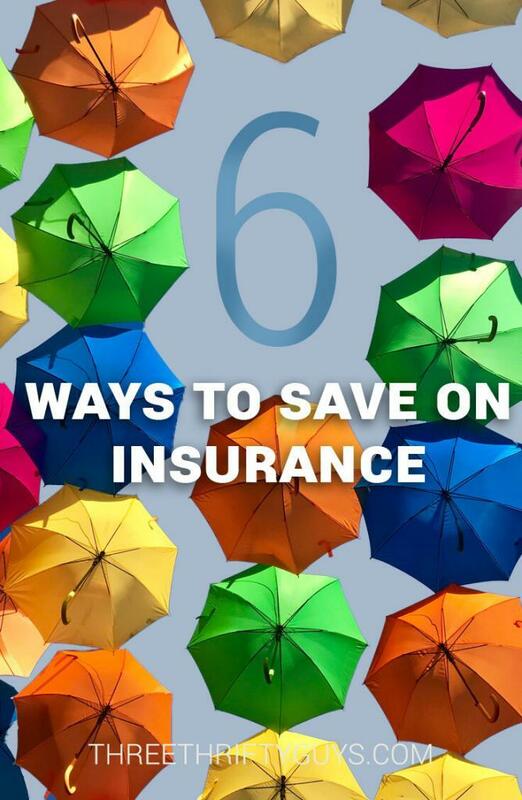 The following are some ideas for saving money on insurance. Please note that this is not a comprehensive list and insurance companies do not structure their rating software to offer all the same discounts. There may be many more ways to save on your premiums. Previous claims within the last 5 years will most likely increase your homeowner premium and some risk reduction methods offer discounts on premium. The amount of the discount will vary from one company to the next. Replace the singles on your roof every 20 to 25 years. Most companies apply discounts, the newer the roof, the large the discount. Hail resistive shingles will reduce premium. Amount of discount varies from one company to the next. Alarm systems for burglary or fire, that are connected to a central monitoring system will reduce premium. Smoke detectors, fire extinguisher and dead bolts on all outside doors will reduce premium by 2%. Water shut off systems will reduce premium. Proper landscaping, drain tile and sump pumps to avoid water damage in the basement. Sump pumps should have a backup for power. Don’t turn on your dishwasher or clothes washer before you leave your home, in the event of a burst water line. Securing any pet that could cause an injury to another person (I’ve heard dog bites comprise 30% of all homeowner claims). Woodstove or fireplace should be professionally installed, professionally inspected and professionally cleaned on an annual basis. Keep the heat on in the house for winter months, if you are away for extended periods of time and have a device that will notify you if the heat is not working. Update old electrical fuse boxes to circuit breakers and replace old wiring, galvanized steel plumbing to copper or PVC or other more modern plumbing. The cost of updating utilities can be very expensive and may not prevent a loss from occurring and may not reduce your premiums. This is only a consideration. Drive defensively to reduce the risk of causing an accident and possibly avoiding an accident caused by someone else. Obey all traffic laws and avoid distractions and pay attention. Increase deductibles on policies to avoid filing smaller claims that can be absorbed out of pocket. Excluding Work Loss Benefits Coverage from an auto policy for a driver who is retired, no longer employed and over the age of 60 or 65 for some companies. Save premium dollars by not purchasing coverage for full glass, towing or rental reimbursement if you can afford to pay for these expenses if and when they occur. This is a form of self-insurance. Purchase a liability only policy for older vehicles. The means if the vehicle is damaged, you pay for the repairs out of pocket or replace the vehicle yourself. This is a form of self-insurance. Self-insure inexpensive jewelry, inexpensive boats, atv’s, snowmobiles, etc…. for physical damage. REMEMBER: you should NOT self-insure the liability exposure on any of these items. Do not retain this risk because liability claims can run into the hundreds of thousands or millions of dollars if a serious injury is caused. Transfer the risk to an insurance company by purchasing an insurance policy. When purchasing insurance, it is helpful to shop around. Once you find an independent agent that can provide the service you expect, that agent can shop for you. If you use the service of a direct writer agent (one who only sells insurance for one company) or an internet provider (where you order your own insurance policy without the assistance of an agent) then you’ll have to do your own shopping each time you want to compare prices. Shopping when your current premiums seem to increase too dramatically or after a period of 5-7 years are the most common times to shop around. Remember, sometimes you get what you pay for, so if you have a somewhat competitive price and the service is excellent, that could be the better choice rather than going with the cheapest price, where service may be lacking. Package all policies (home, auto, watercraft, recreational vehicles, personal umbrella, business policies) with one insurance company which will provide multi policy discounts. This may not be necessary or beneficial in every situation. Some insurance companies provide discounts based on occupation, educational level or number of years with the previous insurance carrier. Having a good credit score can reduce premium significantly with some insurance companies. Having a Grade Point Average of 3.0 or higher for high school and college students will reduce auto premiums. Taking a defensive driving class for drivers who are age 55 or older will reduce auto premiums. Buying insurance from an internet provider can be an issue, especially if you don’t understand the terminology. I had one client who purchased comprehensive coverage online for her car, not realizing the term “comprehensive” meant coverage for hail, wind, theft, vandalism, fire, flood (basically anything that can happen to the vehicle while it is not being driven). The vehicle did not have liability (accident causing injury to someone else or damage to their property) or collision (damage caused to her own vehicle when in an accident). She misunderstood the term and thought she had purchased an auto insurance policy that was sufficient for a car being driven when in fact she bought insurance for a car that should have been parked or stored. The word comprehensive is no longer being used by most insurance companies in order to avoid this type of confusion. If you do purchase insurance online, QuoteWizard offers these helpful tips about saving the most on insurance when doing your comparison shopping. Knowing how much liability insurance to purchase can be a very difficult decision. Talking through the options with a licensed insurance agent and your financial advisor is helpful in making these decisions. Buying less liability insurance will save money in the short run, but may cost a HUGE amount down the road if you have a serious accident and are found negligent. Especially if the limits you purchased are used up and now you are personally responsible for the expenses incurred. An example would be, if you are in a flood prone area you need to purchase a flood policy because a homeowners policy excludes coverage for ground water damage. Some homeowners policies exclude coverage or severely limit coverage for dog bites. If you have an animal, you need to have sufficient coverage for this exposure. One homeowner policy may pay the full replacement value of a new roof when damaged by hail, but a different company might have language that states it will only pay for the Actual Cash Value (depreciated value) of the shingles at the time of the loss. If you have a 21-year-old roof, that could be a big difference in the claim amount paid by the insurance company. Obviously these are just a few of the methods used to reduce premiums and they should not be applied in every situation. What are some ways that you employ to save more on your insurance costs? This article was brought to you by the fine folks at QuoteWizard.com. Find out more about content partnerships. Who Pays More for Car Insurance? As an insurance agent myself I can tell you that these are all pretty much accurate ideas of how to save on insurance. The biggest thing is to avoid as many property insurance claims as you can. Thanks for offering your expert thoughts on the post Scott. I like your point about price comparisons. There are always “extras” to be added on once you’ve chosen the cheapest provider. The trick is to make sure that you’re comparing like with like and that the details of the policies match. Thanks for the tips!